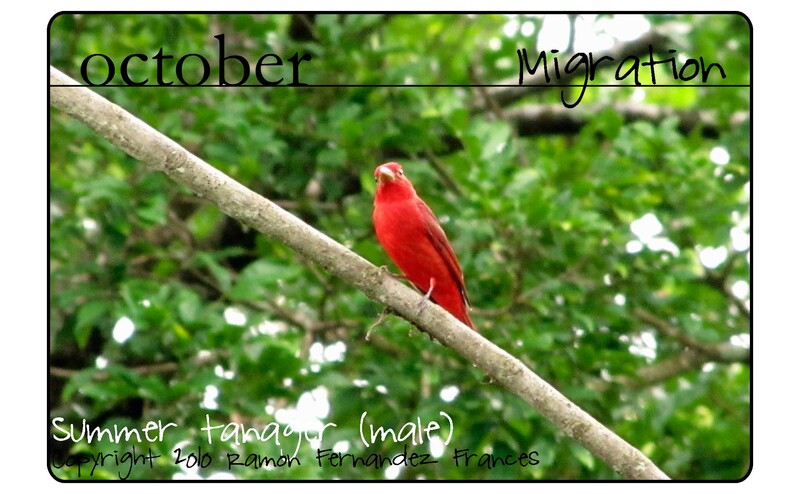 Blogposts including a Summer Tanager. 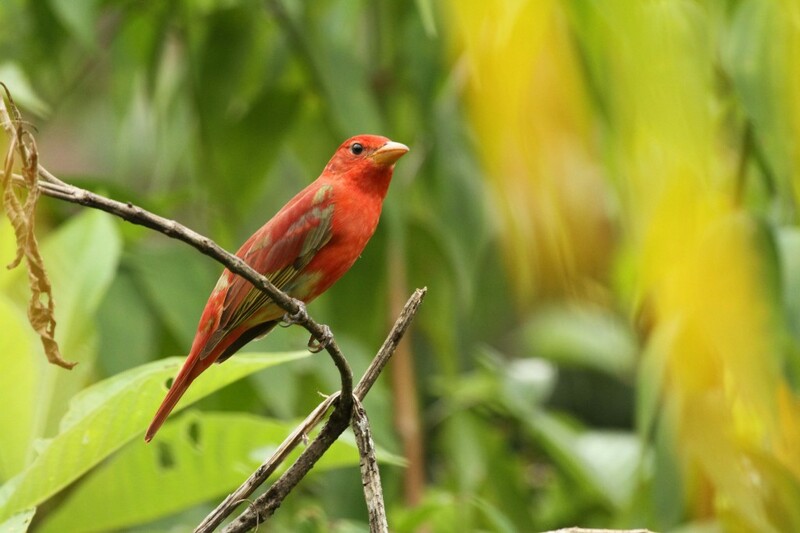 Here is a great little clip I filmed of a Summer Tanager eating here at the grounds of Tranquilo Bay. 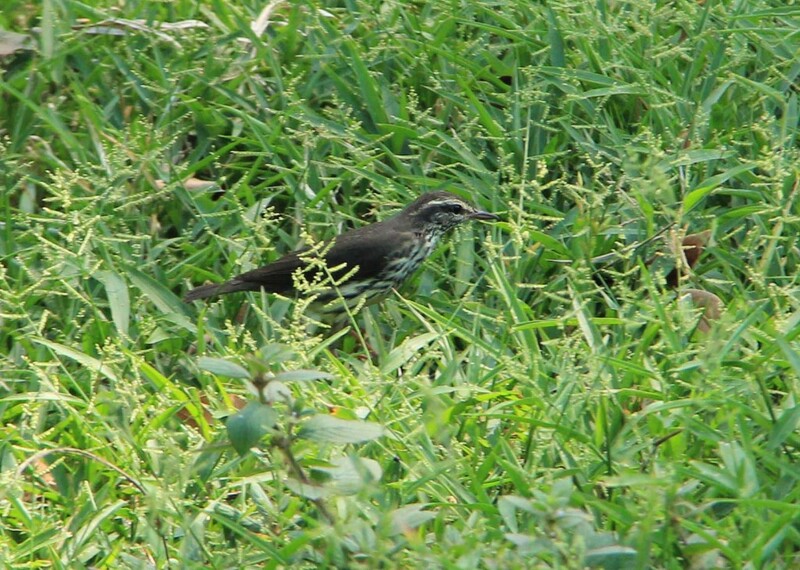 The last few weeks have been very, very active for migratory birds. 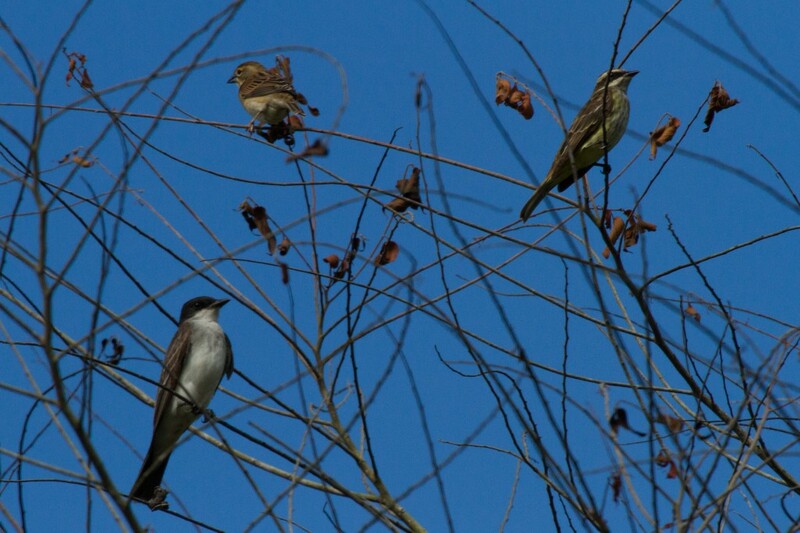 We have had the chance to take some nice pictures of some of our visitors. 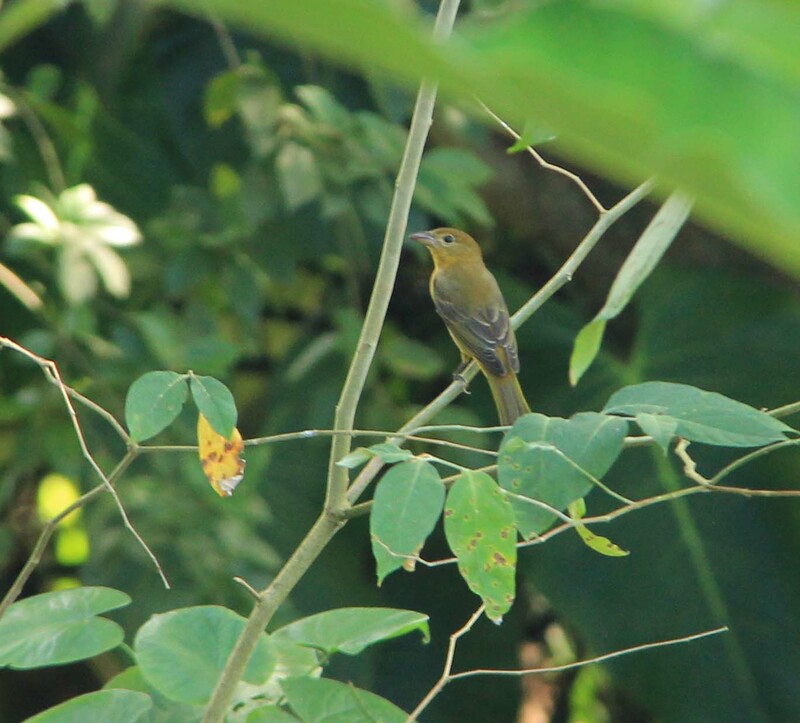 We have taken pictures at the pineapple hill, one of our favorite places to birdwatch at Tranquilo Bay, because it is an open area surrounded by forest. 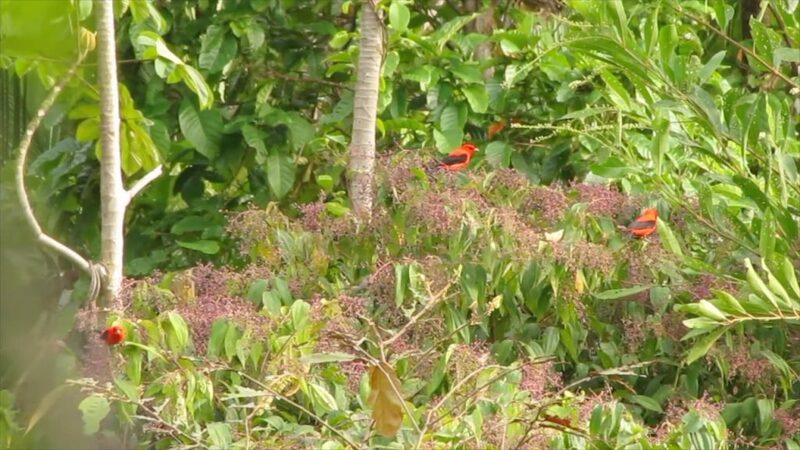 The first line of trees is miconia, and right now those trees are full of juicy berries, that many birds like, not just the migratory ones. Eastern Kingbird, Dickcissel, and Piratic Flycatcher. Photo by Ramón Fernández Francés. 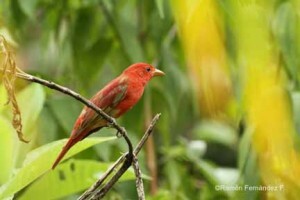 Summer Tanager. Photo by Ramón Fernández Francés. 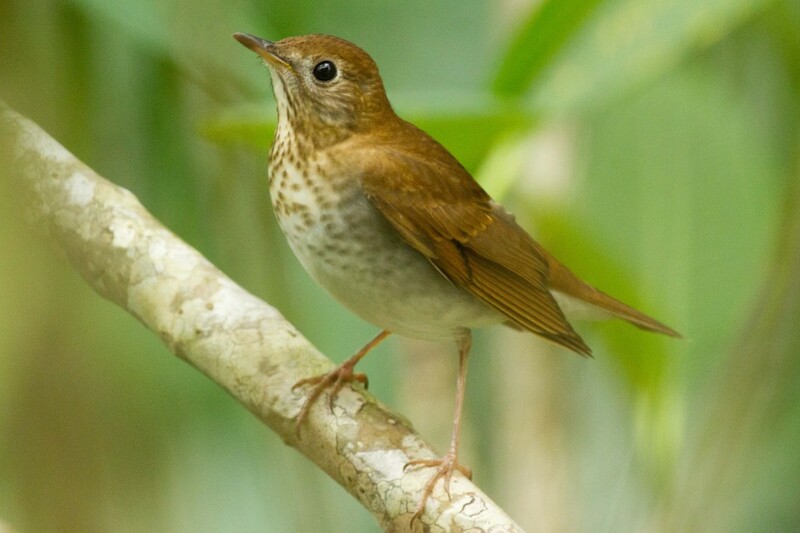 Veery. 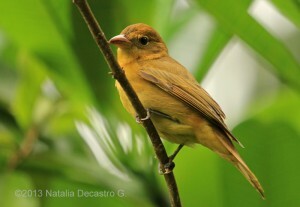 Photo by Ramón Fernández Francés. 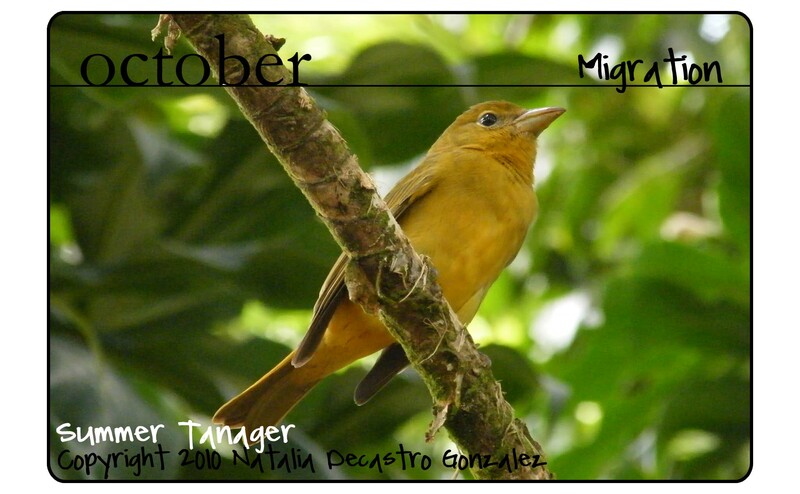 Since the middle of August we have seen a few species of migratory birds. 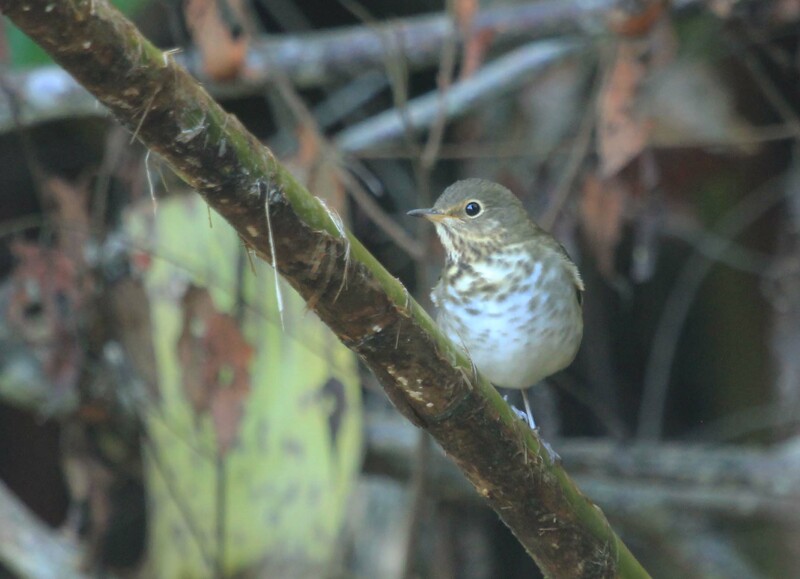 These were not in the numbers we normally see during the fall migration, but 3 days ago we had a very strong wind that seemed to push some of our common fall migration visitors to the island. Today, sitting on the porch of one of the cabins, I got a nice view of Northern and Louisiana waterthrush, Prothonotary Warbler, a Summer and a Scarlet tanager, several Swainson´s Thrush and some Red-eyed Vireos. The migratory birds are finally around!!! Maybe the weather in the North America was too good to leave as early as usual?